Team leader prof. A. Rađenović from EPFL, Switzerland and Sanjin Marion, assistant from Institute of physics, Zagreb, with other coworkers, have provided a new insight on translocation of macromolecules through nanosized constrictions - nanopores or nanocapillaries. They were able to observe different proteins bound to DNA strands during translocation of these complexes through nanocapillary. The measured binding positions showed a shift from the positions expected from the DNA sequence. The authors were able to explain the shift both analytically and with a stochastic model. 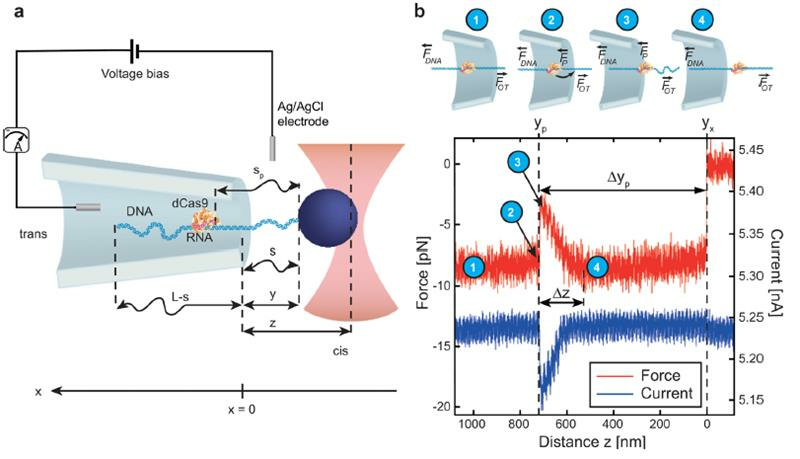 Thus they provided a proof of concept for discrimination between different DNA−protein complexes simultaneous to the localization of their binding sites -a step en route to practical nanopore devices.